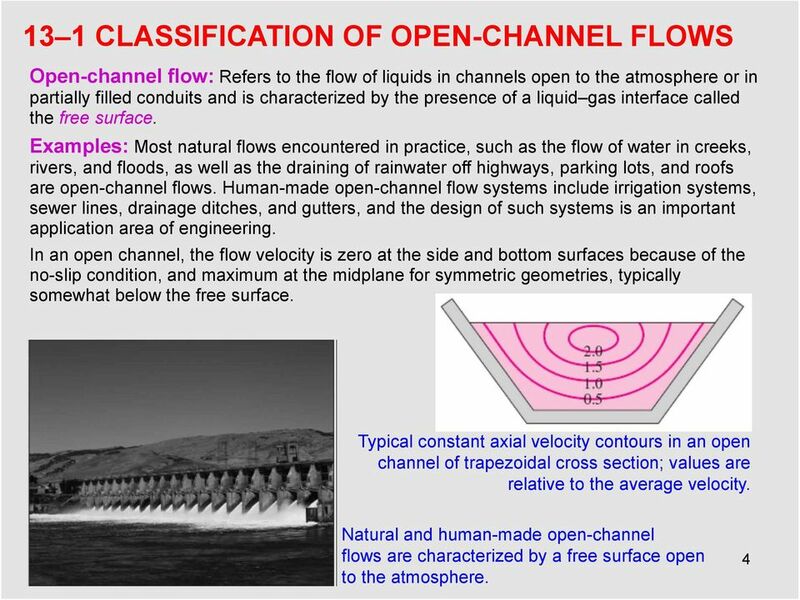 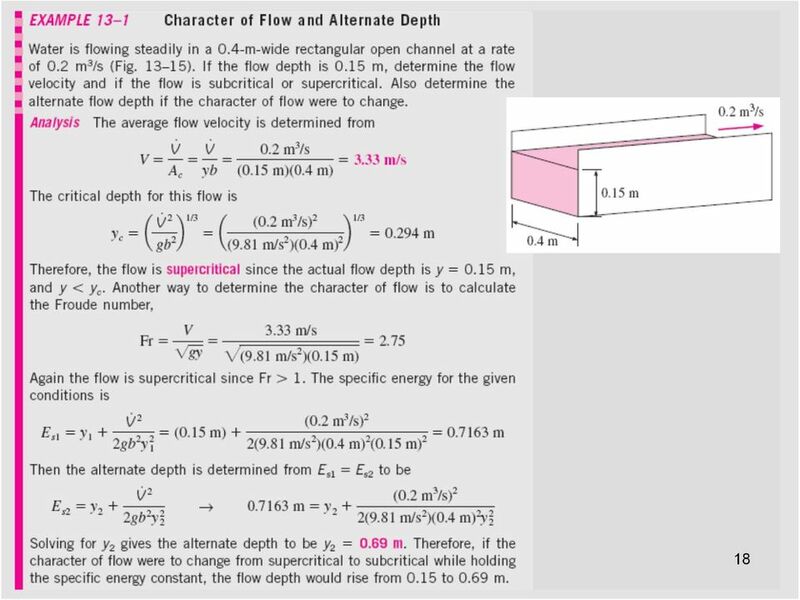 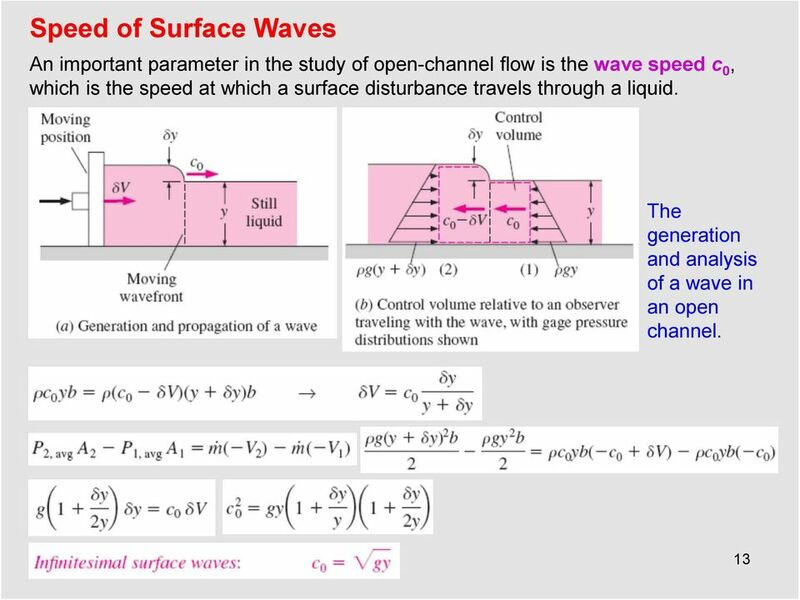 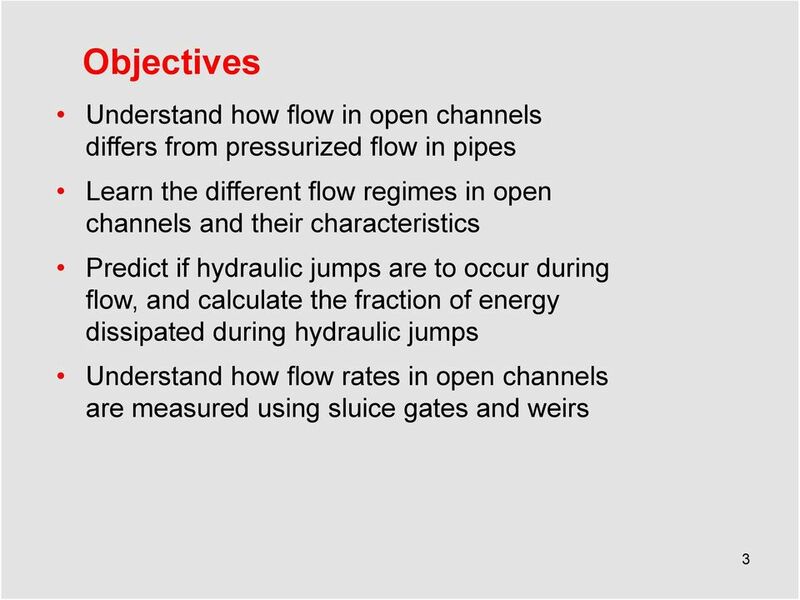 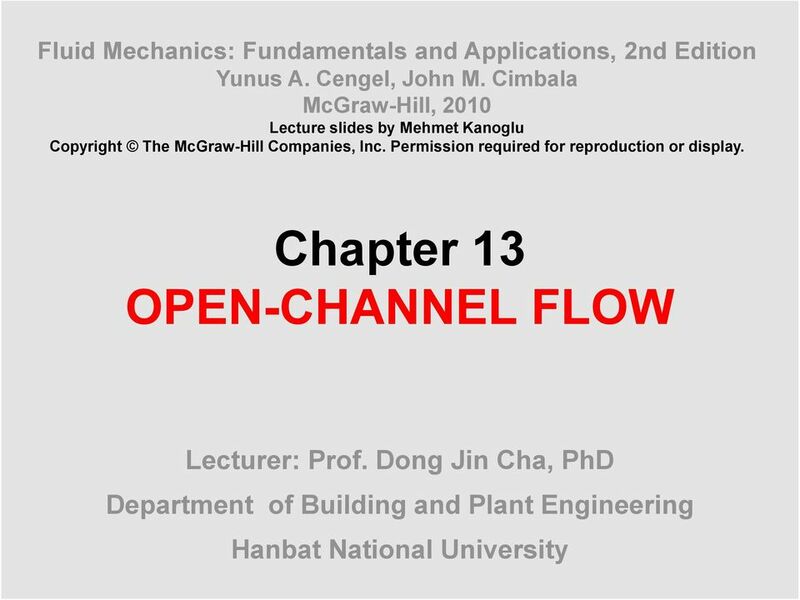 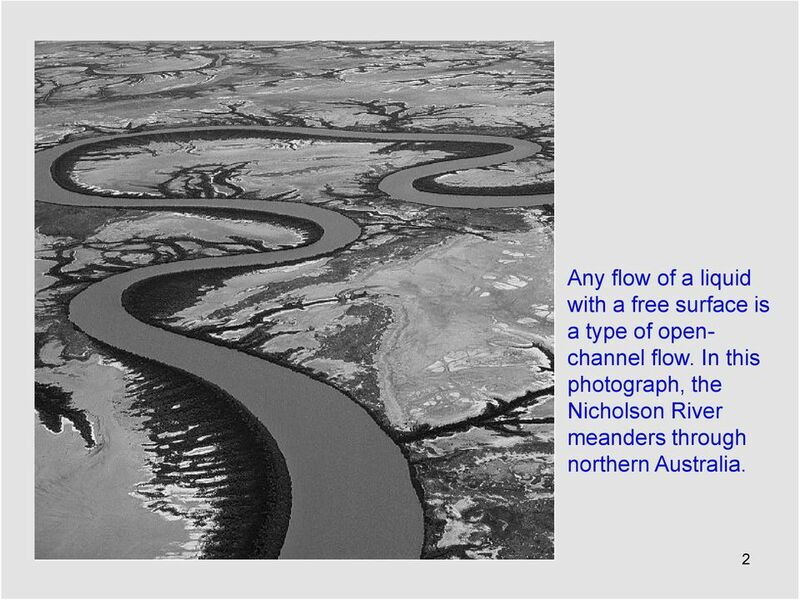 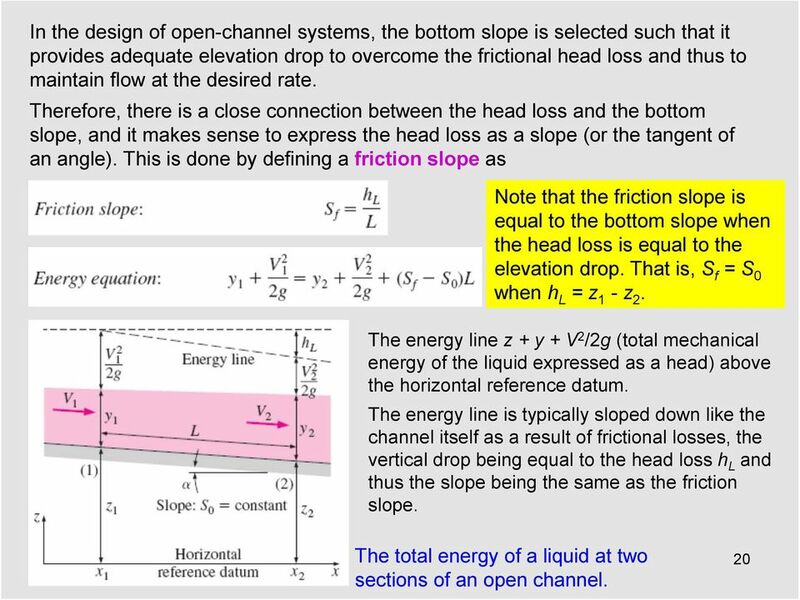 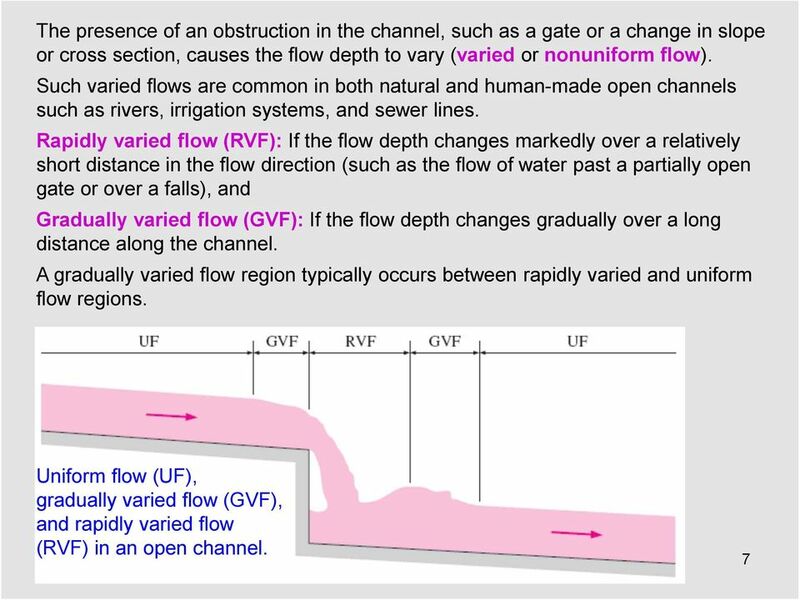 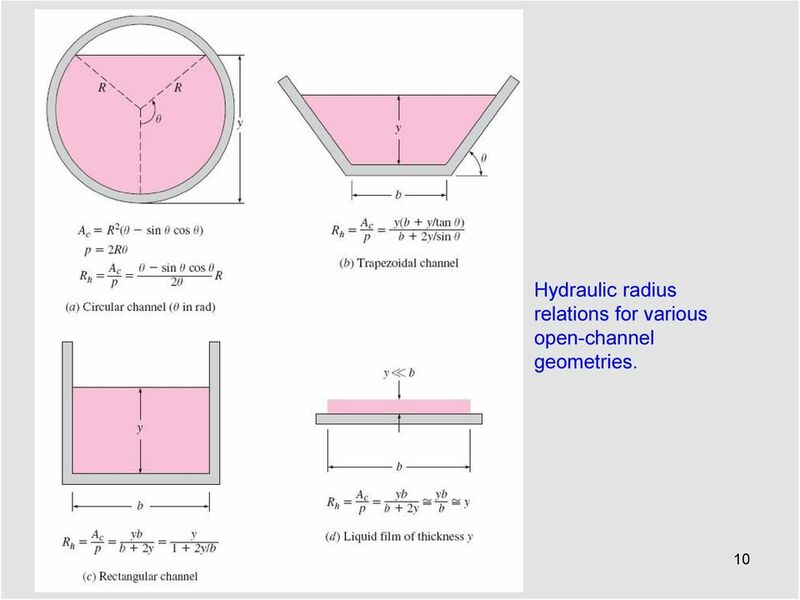 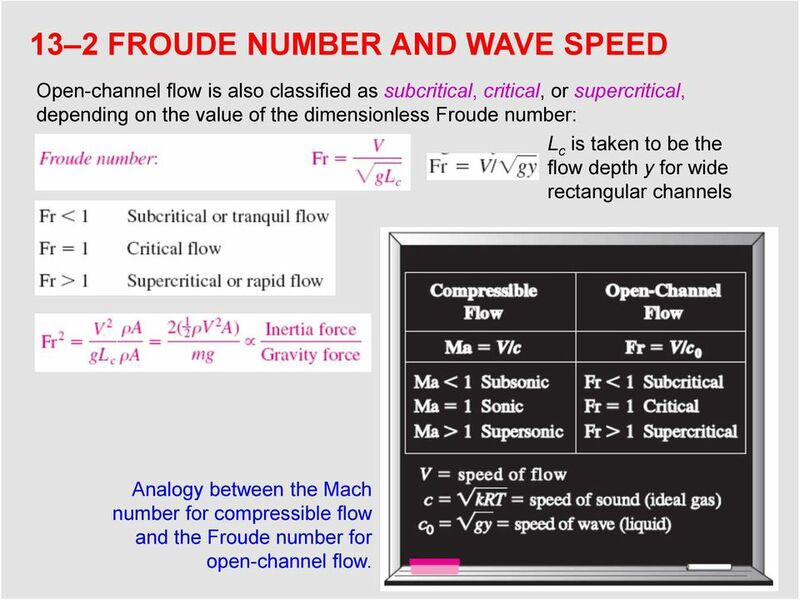 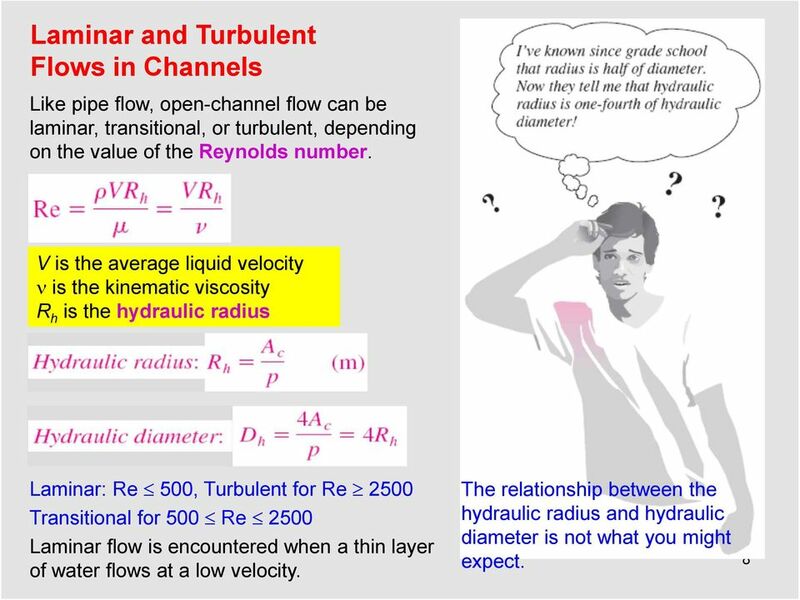 Download "Chapter 13 OPEN-CHANNEL FLOW"
36 Liquid Surface Profiles in Open Channels, y(x) It is important to be able to predict the flow depth for a specified flow rate and specified channel geometry. 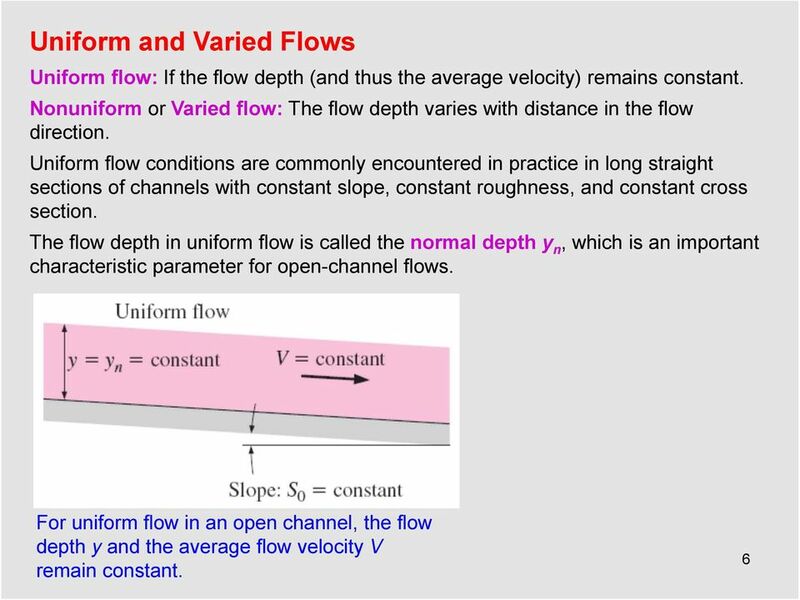 A plot of flow depth versus downstream distance is the surface profile y(x) of the flow. 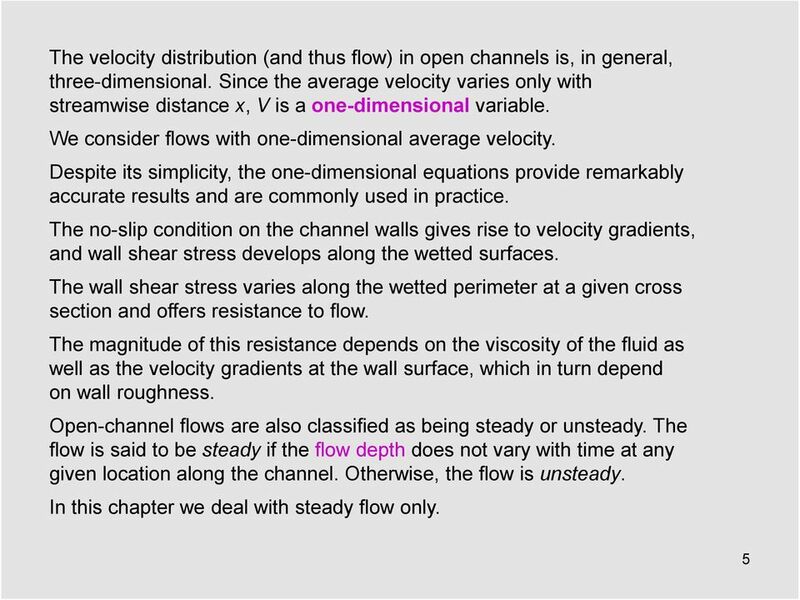 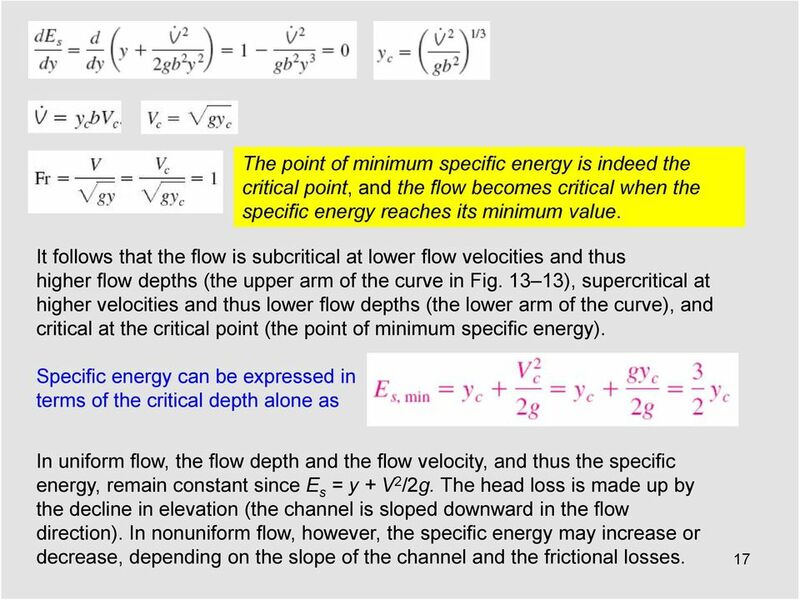 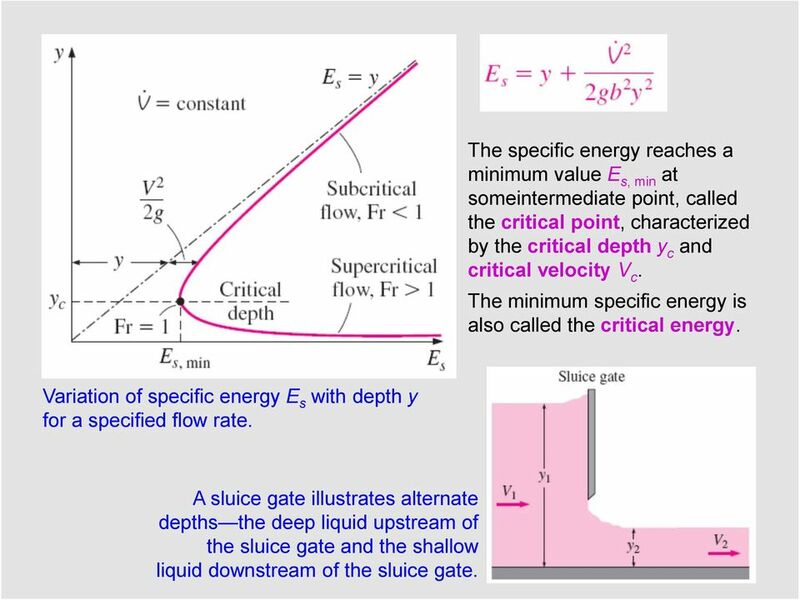 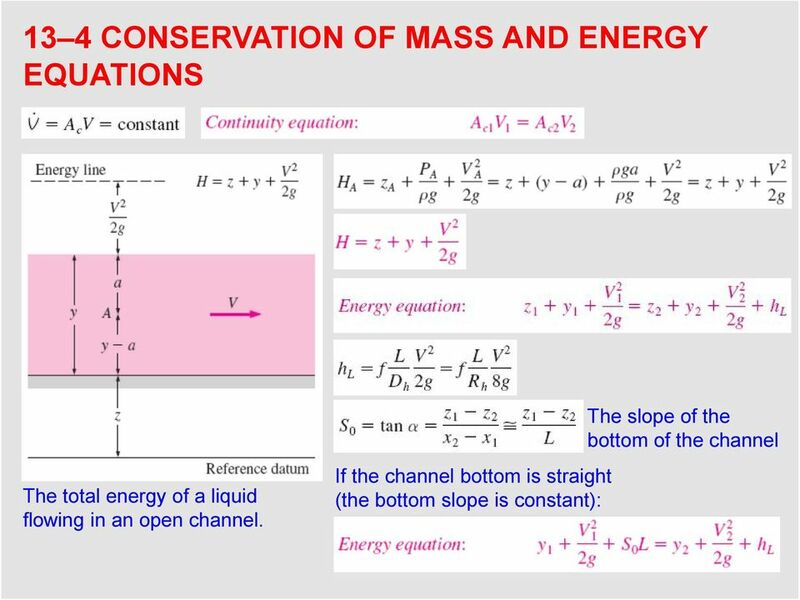 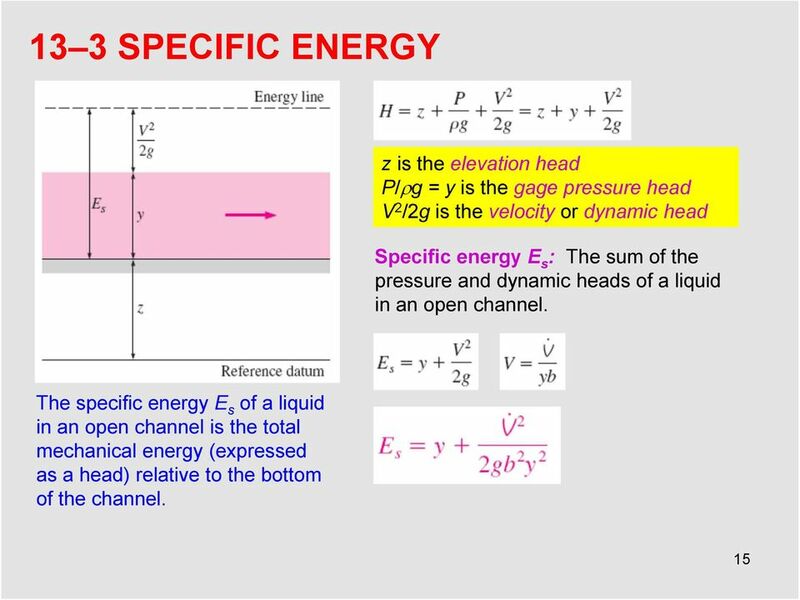 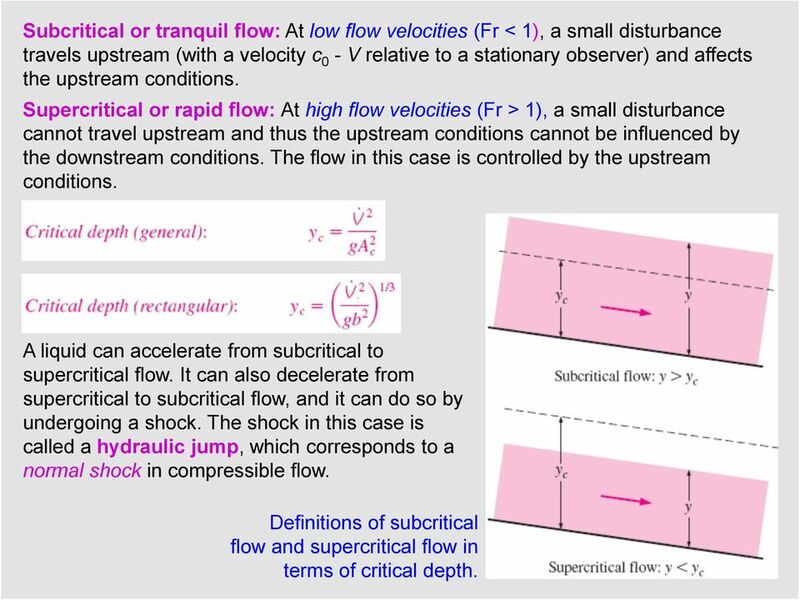 The general characteristics of surface profiles for gradually varied flow depend on the bottom slope and flow depth relative to the critical and normal depths. 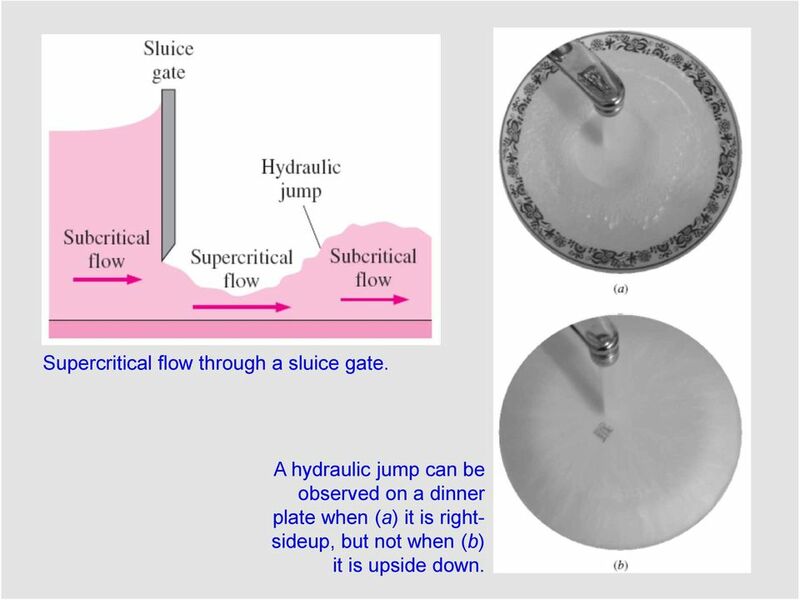 Designation of the letters S, C, M, H, and A for liquid surface profiles for different types of slopes. 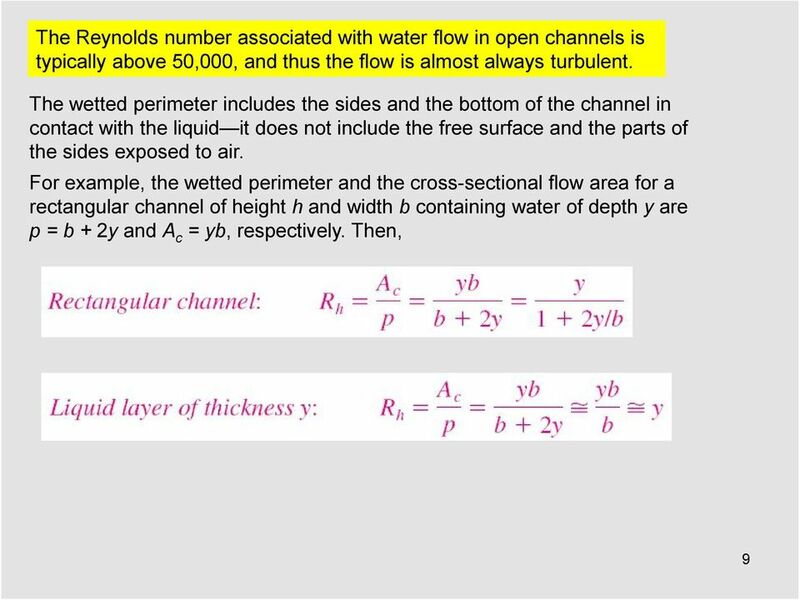 Designation of the numbers 1, 2, and 3 for liquid surface profiles based on the value of the flow 36 depth relative to the normal and critical depths.